January 7, 2010  In New York, the only thing colder than the weather was Gov. David Paterson's icy State of the State speech Wednesday. The state is facing is an $8 billion deficit. Paterson accused lawmakers of big spending. He told them he would not "write bad checks" and would not "mortgage our children's future." January 5, 2010  People flying into U.S. airports are dealing with extra scrutiny in the wake of the attempted attack on a plane bound for Detroit on Christmas Day. Passengers in New York's JFK Airport, Los Angeles International Airport and Detroit react to the new security measures. December 17, 2009  The federal government has charged three top police officers in Shenandoah, Pa., of covering up evidence in the fatal beating of a Mexican immigrant. Federal prosecutors say the police officers knew the accused — and altered evidence in the case. 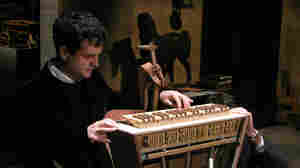 December 10, 2009  With all the high-tech attractions in Times Square, holiday tourists are flocking to an instrument that was designed 500 years ago. Curators used the sketches of Leonardo da Vinci to figure out how to build it. Among the toughest things to re-create: a viola-harpsichord hybrid that can be played while walking. December 4, 2009  As Comcast prepares to take over majority ownership of NBC Universal, it has signaled the intention to make Jeff Zucker, the president and CEO of NBC Universal, head of the new venture. Zucker has spent his entire career at NBC, and has been successful in building the audience of several NBC cable holdings such as MSNBC and Bravo. Can New Yorkers Be Impartial In Terrorism Case? November 14, 2009  Khalid Sheikh Mohammed and four other suspects in the Sept. 11 attacks are to be transferred from Guantanamo Bay to New York for prosecution. The city may be prepared to tackle the security and logistics of the trial, but emotions will present a challenge. 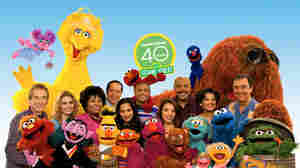 November 10, 2009  As the classic children's television program celebrates its 40th anniversary, the producers of Sesame Street talk about how the show has changed. November 4, 2009  New York City Mayor Michael Bloomberg called his narrow third-term election victory part of a national backlash against incumbents. Pointing to other results across the country, Bloomberg said voters were angry about the economy. October 26, 2009  People need comedy during tough economic times, but during the great stock market crash of 1929 there was a problem. Large numbers of entertainers lost their shirts, too, and there didn't seem like much to laugh at. This week is the 80th anniversary of the big market crash. October 16, 2009  The surviving members of the legendary Monty Python comedy group gathered Thursday night in New York to attend the opening of the documentary, Monty Python Almost The Truth (The Lawyers' Cut). October 9, 2009  The first shipments of the swine flu vaccine have now been sent out to every state in the union. But the Centers for Disease Control and Prevention says that demand is still outstripping supply.